In and around the former Navy Annex site, bounded by Columbia Pike, South Joyce Street and Southgate Road and with Arlington National Cemetery directly to the north. The U.S. Army has informed Arlington County that it will no longer pursue a land exchange with the County. 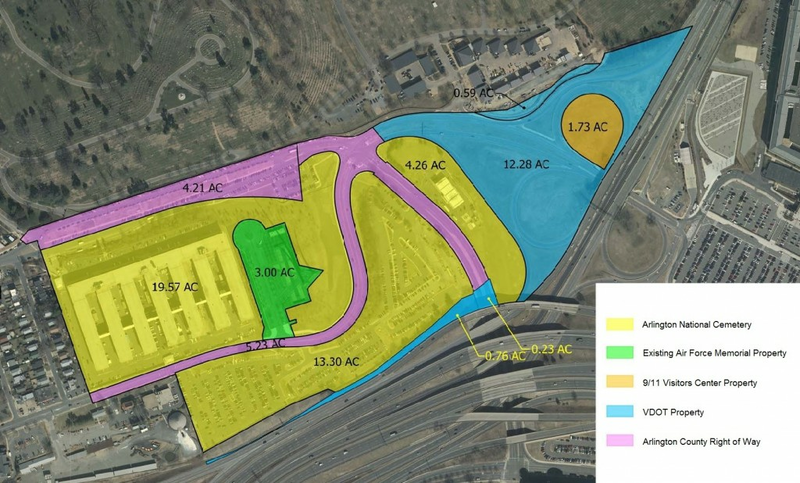 The Army has said it will use the entire former Navy Annex site, along Columbia Pike, to expand Arlington National Cemetery. It also will acquire for the cemetery about five acres of public land now owned by Arlington County. The County will negotiate with the Army to ensure that Arlington and its taxpayers receive fair compensation for the County-owned land as the Army pursues its acquisition. For several years, Arlington, the Department of the Army and the Virginia Department of Transportation have looked for ways to realign the existing road network and complete various real estate transactions in order to maximize contiguous acreage for Arlington National Cemetery’s expansion, and to improve the transportation infrastructure in this important area of the County and the region. 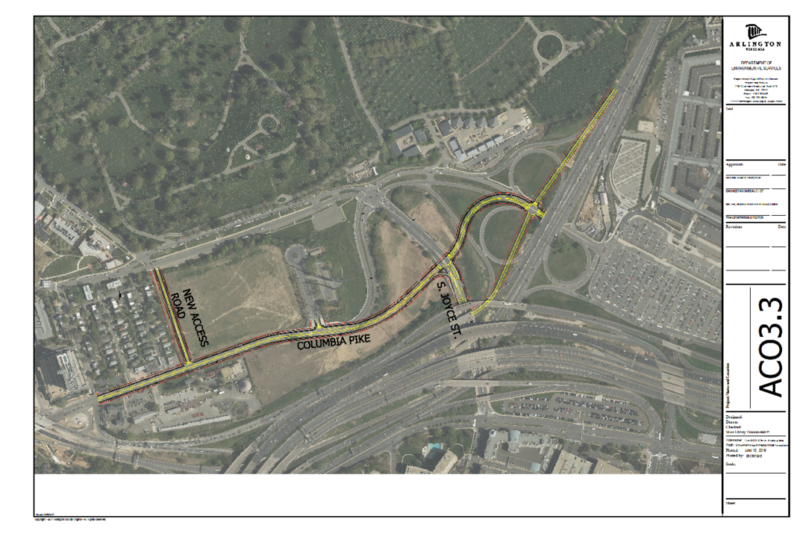 As compensation, the Army had originally proposed, and Congress had authorized, a land exchange agreement that would have provided Arlington County with all land south of a realigned Columbia Pike to meet a variety of public facility needs. 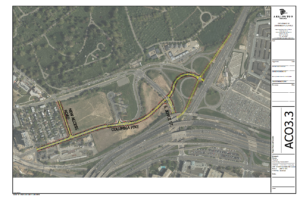 Due to the decision by the Army to retain all federal land in the area and to acquire existing state and local land not needed for the road network, Arlington County will not obtain any land at the site for future development. In addition to realigning Columbia Pike as part of the cemetery’s expansion, the County plans improvements to the roadway that will help transform it into south Arlington’s “Main Street” and improve travel for those walking, biking, riding transit and driving in this gateway to the monumental corridor. The realigned Columbia Pike would be rebuilt as a four-lane roadway with a sidewalk and a shared-used path, improved landscaping, enhanced lighting and undergrounding of utilities as part of the County’s Pike multimodal project.